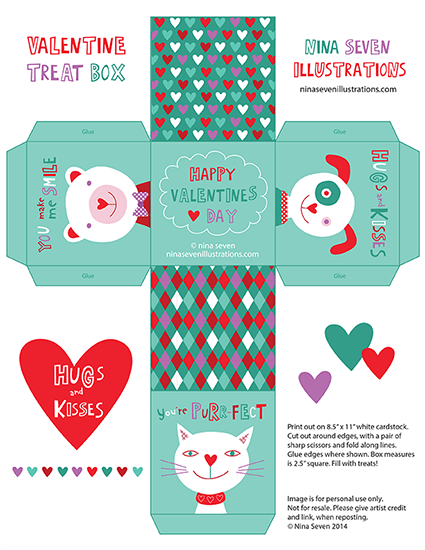 We love to illustrate has another post filled with free, yes FREE Valentine’s day Printable’s. These adorable boxes and Perfect for little treats and treasures. Free Printable’s.